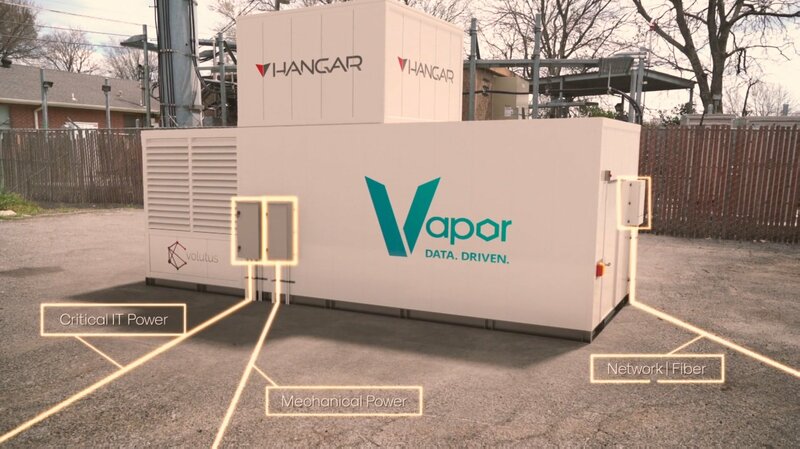 Taking another step towards building an edge computing empire, Vapor IO is entering a partnership with Hangar Technology, a company offering drone-based data collection services. Austin-based Hangar has developed what it calls a robotics-as-a-system (RaaS) data acquisition platform, offering automated tasking, data collection, and supply chain support - all using drones. 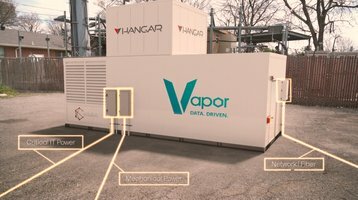 Having set its sights on the emerging edge computing market, Vapor IO is planning to install networks of edge facilities, in the form of standardized 150kW compute clusters in central locations across the US, connected via high-speed fiber. Vapor IO’s take on edge computing, which it calls the Kinetic Edge, adds a layer of software atop a distributed network, creating a single virtual data center with multiple availability zones. Chicago is the the first location for the project, and will also be Hangar’s first point of entry onto the US market, the idea being to coordinate the platform’s deployment as Volutus progresses (assuming it is successful). According to this particular vision of the world, cities will soon be full of IoT sensors, autonomous vehicles and both virtual and augmented reality simulations generating reams of data. If this comes to pass, Vapor IO wants to be the company offering low latency compute where it is most needed, and Hangar wants to be the platform upon which these real time data-driven services are developed. But they’re not alone: others are developing their own approach to edge computing, such as EdgeMicro, which introduced its Schneider-made boxes in November last year; AT&T, which is planning to use use former central offices, cell towers and telephone exchanges to build a network of edge facilities atop its own mobile infrastructure, and DartPoints, which sells edge installations for cell towers and on-site micro data centers. Despite all the commotion, edge computing is yet to deliver on its many promises and prove its worth to the data center industry. So we’ll just have to wait and see.